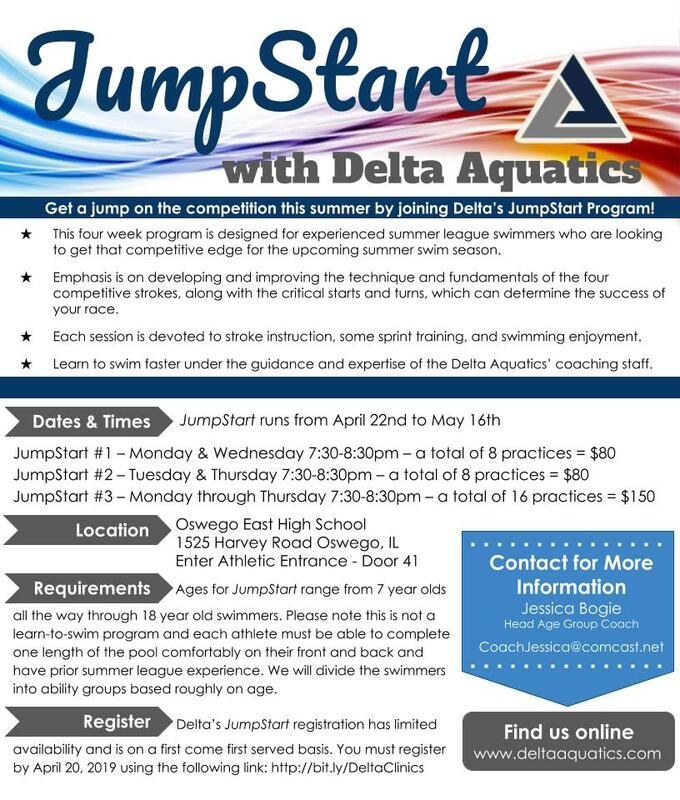 Get a jump on the competition this summer by joining Delta’s JumpStart Program! This four week program is designed for experienced summer league swimmers who are looking to get that competitive edge for the upcoming summer swim season. You do not need to be a member of Delta Aquatics to join this program. Emphasis is on developing and improving the technique and fundamentals of the four competitive strokes, along with the critical starts and turns, which can determine the success of your race. Each session is devoted to stroke instruction, some sprint training, and swimming enjoyment. Learn to swim faster under the guidance and expertise of the Delta Aquatics’ coaching staff.